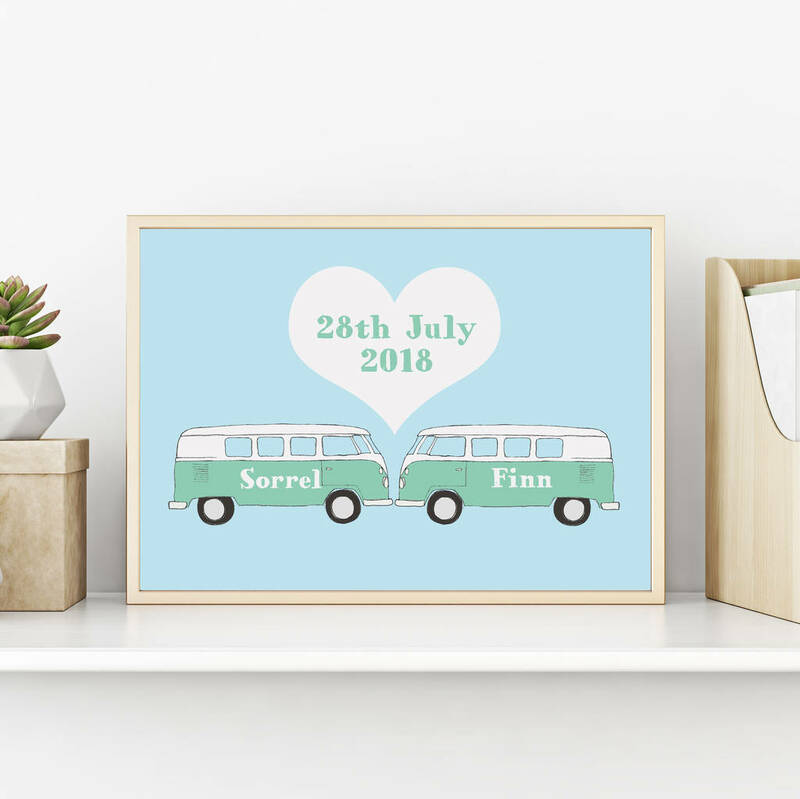 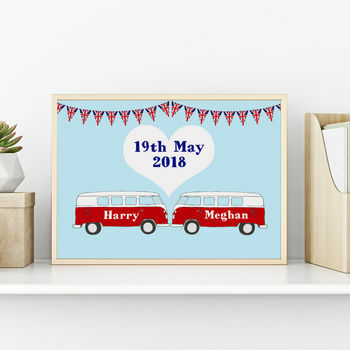 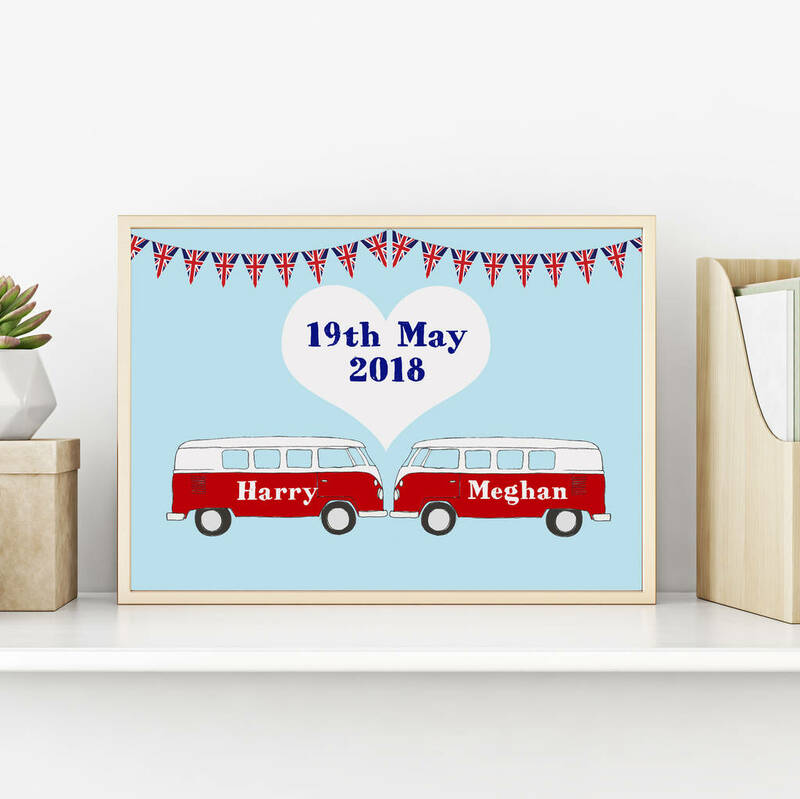 Celebrate a special occasion with jolly little campervans! Beep beep! Mark a friend or relatives big day, engagement, anniversary or other special occasion with an illustrated personalised print. 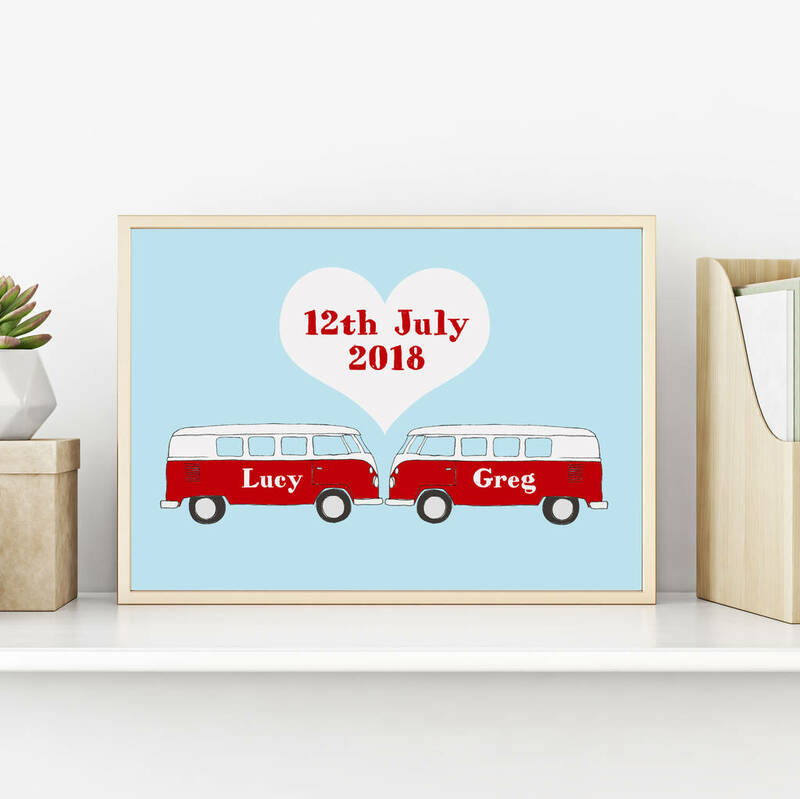 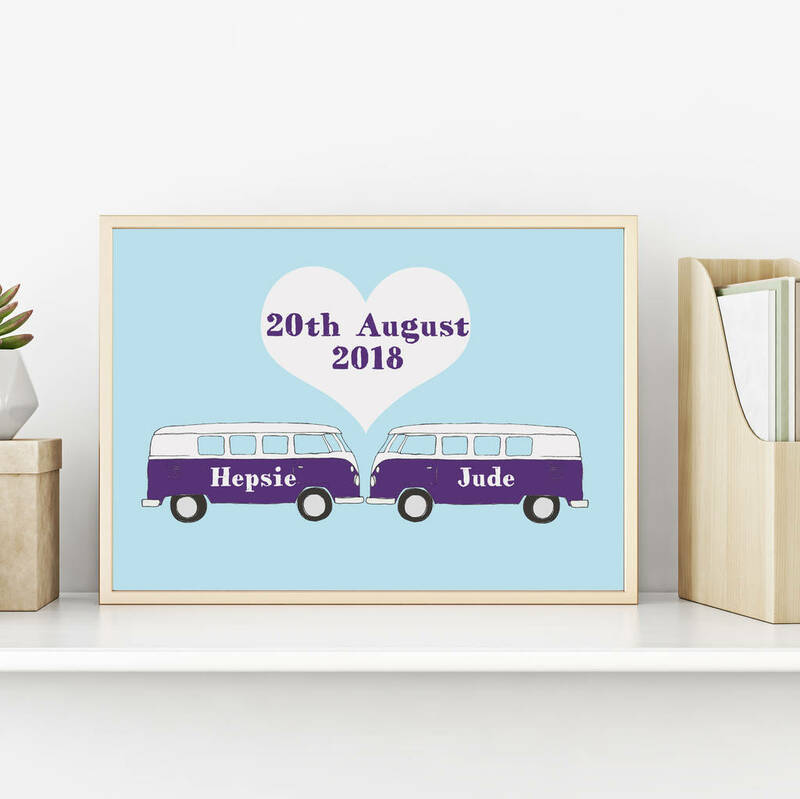 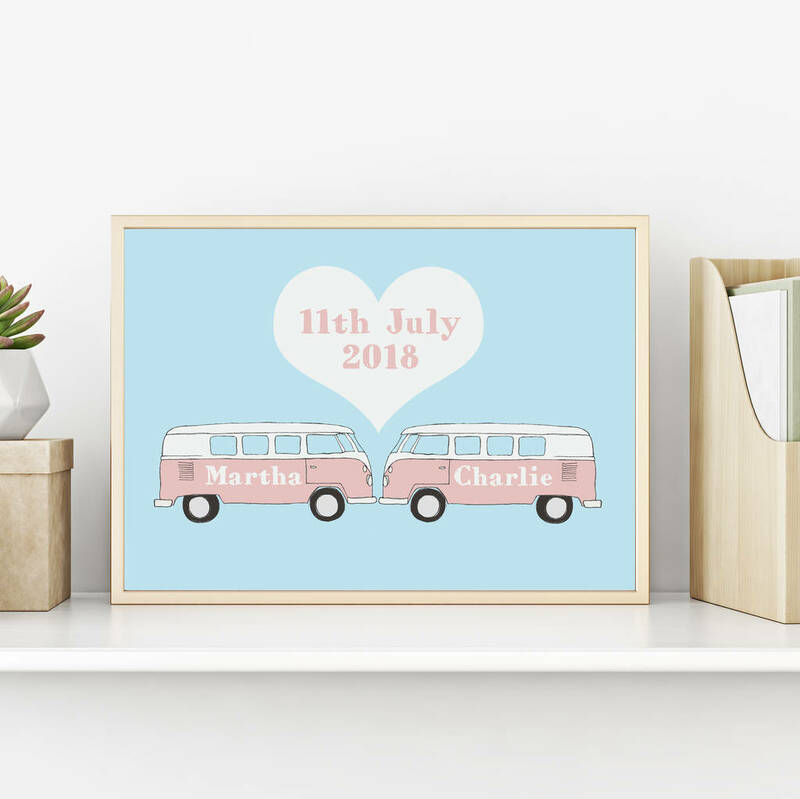 This design features two hand illustrated campervans facing one another with a love heart above.